The mass incarceration of Japanese Americans during World War II is not only a tale of injustice; it is a moving story of faith. In American Sutra: A Story of Faith and Freedom in the Second World War (Harvard/Belknap), Duncan Ryūken Williams reveals how, even as they were stripped of their homes and imprisoned in camps, Japanese American Buddhists launched one of the most inspiring defenses of religious freedom in our nation’s history, insisting that they could be both Buddhist and American. 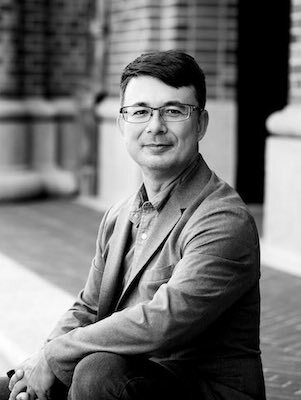 An ordained Buddhist priest in the Soto Zen tradition, Duncan Ryūken Williams has spent years piecing together the story of the Japanese American community during World War II. A renowned scholar of Buddhism. His previous books including The Other Side of Zen. 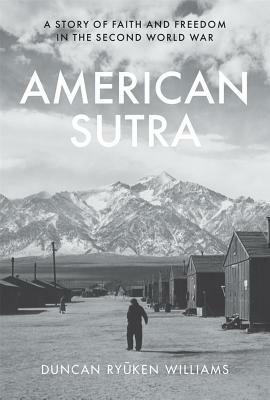 “American Sutra tells the story of how Japanese American Buddhist families like mine survived the wartime incarceration. Their loyalty was questioned, their freedom taken away, but their spirit could never be broken. A must-read for anyone interested in the implacable quest for civil liberties, social and racial justice, religious freedom, and American belonging.”—George Takei, actor, director, and activist. The author appears in conversation with Seattle writer Frank Abe, author most recently of John Okada and Tetsuden Kashima, Professor Emeritus of American Ethnic Studies at the University of Washington, author of Judgment without Trial.